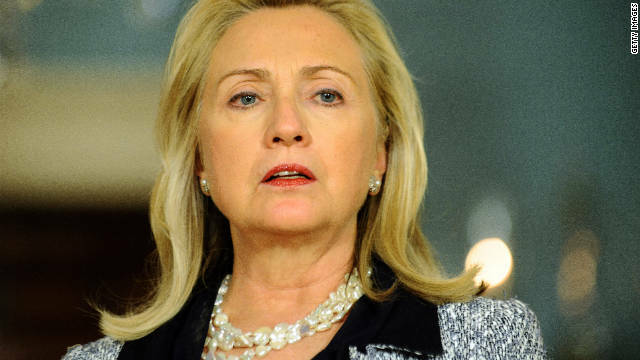 Washington (CNN) – When it rains, it pours for Hillary Clinton. Students at the University of Nevada-Las Vegas are asking the former secretary of state to return the speaking fee she is set to collect when she appears at a university fundraiser in October. The calls, which are gleefully being pushed by national and state Republicans, come at an inopportune time for Clinton, whose "Hard Choices" book tour has largely been defined by missteps she’s made regarding her wealth and steep speaking fees. The University of Nevada-Las Vegas announced this week that Clinton, a likely 2016 presidential candidate, would headline their annual fundraising dinner in this fall. The university is paying Clinton $225,000 for the appearance with money from "private donations secured by the UNLV foundation," according to a spokeswoman for the university who went on to say that no money from the school's operating budget will be used on the fee. Even with that caveat, the news of Clinton's fee did not sit well with the university’s students, especially considering Nevada's higher education board decided to raise tuition by 17% earlier this month. Elias Benjelloun, the UNLV student body president, and Daniel Waqar, the student government's public relations director, told Nevada political reporter John Ralston that the speaking fee is "a bit outrageous." Pushing back against the controversy, a Clinton aide told CNN that the UNLV speaking fee would go to the Bill, Hillary and Chelsea Clinton Foundation, not to the former first lady directly. This is not the first time Clinton has appeared at a university for a fee, but because Clinton recently made two noticeable slip-ups when answering questions about her wealth and speaking fees, Republicans are seizing on any news that continues the storyline. In March of 2003, Clinton spoke to the University of Los Angeles-California as part of a donor-sponsored speaker series. The former secretary of state was paid $300,000 for that appearance, according to a spokesman for the college. At the time of the speech, an event organizer told CNN that Clinton was not being paid. "No tuition dollars or public money were used for this fee," Jean-Paul Renaud told CNN on Friday. "Actually, the fee was a gift made to us specifically to attract people like Hillary Clinton." Renaud also noted that the UCLA speaker series is funded by a gift from Meyer Luskin, a Los Angeles business man who requires that the money is used to bring in high profile speakers. "We are bound to do such things with the gift," Renaud said. A Clinton aide confirmed that the fee from the UCLA speech, too, went directly to the foundation. Clinton also addressed the University of Miami in February. Donna Shalala, the university's president and a former Bill Clinton cabinet member, told reporters at the time that Clinton was being paid a "discounted" rate for the appearance. When asked by the Wall Street Journal on Friday whether Clinton's speaking fee was close to $200,000, Shalala said "No, no, no, no, no, no" and confirmed that a private donor covered Clinton's fee. A spokesman for Clinton did not comment on where the money from the Miami speech went. Clinton's Republican critics have aggressively pushed the story as more proof that Clinton is paid too much to be in touch with average Americans. The attack line has turned into a narrative for Republicans who, from day one of Clinton's book tour, seized on the former first lady saying she and her husband were "dead broke" when they left the White House. "Hillary Clinton’s speaking fee at UNLV is more than 4 times what the average Nevadan makes in a year," Jahan Wilcox, an RNC spokesman, noted in a statement to reporters. Tim Miller, the executive director for America Rising, an anti-Clinton super PAC, called the UNLV Clinton fee absurd. Since leaving the State Department in 2013, Clinton has been a highly sought after speaker for university, cooperate and conference events. While many of her speeches are paid, Clinton also regularly appears for free at certain events. When she addressed the United Methodist Women Assembly in April, for example, Clinton did not charge a fee and organizers noted on stage that she paid her own way to the event. "When Mrs. Clinton accepted our invitation to speak before us today, she declined our standard honorarium and covered her own expenses," United Methodist Women President Yvette Richards said in introducing Clinton. What? They paid Ms. Clinton to come and lie to them? She should have paid them to endure the lies! regardless for who pays her, this woman that said "it doesn't matter" when speaking of the benhgazi murders is just another jane fonda, when it comes to our troops. I would pay her no attention that would be the only pay from me.She is a crook just like the rest of them in washington both sides from the president down. Maybe she could borrow from faithful hubby, tell them she feels their pain. Forget about political affiliation and look at her record speak for her. It shows clueless mis-management but what difference does it make at this point. We need to lighten up on Hillary. She's admitted to leaving the White House completely broke and in debt and she' only doing her best to resolve her horrible financial dilemma. We wouldn't want her to be forced to fly commercial between public speech engagements, now would we? At her current pace, her financial problems should be fully resolved by the end of 2015 when the presidential campaigns really get going. Why isn't there scrutiny on academic institutions that pay politicians this kind of money? Is this a quid pro quo making the system essentially corrupt because academics and politics (government) can provide them with funds? Also it is a little known fact that college presidents are often chosen by the political class. What are the comparable 'speaking' fees paid out to our other big named politicians? Incredible amount of socialism being shown here by the rightietighties. Wazamata guys, I thought you loved capitalism. I am a UNLV alum. Love my school, and am not a Hillary fan. But why are we attacking her for this. She was given an offer for her talents and she accepted. Isn't that free capitalism and free enterprise. I think it is wrong no matter who it is to criticize them for making too much money. We should be encouraging people to be the best they can and make as much money as their hard work and skill will take them. The students have the right to be upset, but be upset with UNLV not Hillary, UNLV is the one who is spending your money. I think this is a case of trying to cure the symptom, not attack the cause. But, I understand when politics is involved this tends to happen. SPEAKING IS A CHORE....GAS HOTEL WISDOM.....and these kids wanted to make others think they thought of something new...they did not....Hilary Clinton already thought of it and was doing it ....donations....these kids have no value for work...like alote of America...want it free or with little work but alote of pay......were they even americans/ why did they get the air time...to show their studpidity....? The condemnation of these students is the ultimate in partisan red herrings. I happen to know both of the UNLV students who spoke (on their own behalf) and they are definitely not unaware of the "value of work". They know that their hard work not only contributes to their own academic success, but that it also, unfortunately, contributes increasingly to the financial success of the university. Hillary's actions speak for themselves, as do the actions of these students. I am glad they have airtime to voice what I believe is a sincere and heartfelt concern about misdirection of university funding and the individuals who are lined up to graciously accept those funds. Look, I'm a conservative but all of these speakers get fees and huge ones. They agreed to pay her, it's a free country and speakers can charge whatever they wish. If the organizations agree to it why on earth ask for the money back? Absurd request and absurd situation. Whatever she decides, all politicians get huge fees, it's much flap over nothing. The woman is smart and I have no doubt she will win the election. Good grief, after this presidency she will be awesome. She would have to try to be bad, to be really bad by comparison.